I love me some Kentucky Fried Chicken – when I go, I always get 2 fried chicken legs and an order of coleslaw. However, I don’t get to go very often. So, it was great for me to find this recipe online at Amanda’s Cookin’! Mine is just slightly different in that I am lazier- or busier. Yes, let us go with “busier” that sounds better. Lol! This Copycat KFC Coleslaw Recipe is sure to be a hit at your next function – especially if you pair it with the easiest hamburger recipe! 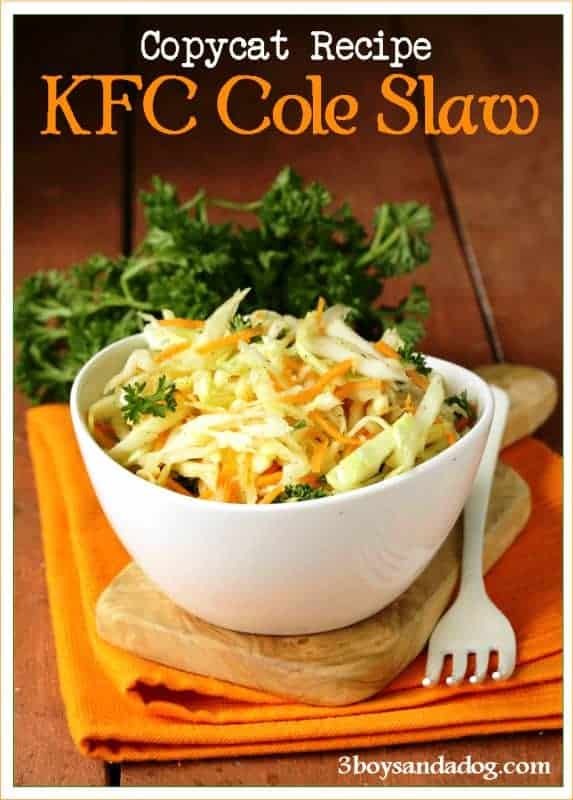 Super easy, yummy, sweet coleslaw tastes just like KFC's! Combine all of the dressing ingredients in a large bowl and whisk until smooth. Pour dressing over slaw and mix well. Cover container and refrigerate for at least 4 hours before serving. I did mine over night! If you like this KFC copycat coleslaw recipe, you are sure to love one of these side dishes as well! When I make this, I need a few certain things – the following contain affiliate links. I used the Classic Cole Slaw Blend from Dole in my recipe. Yum! Since it is already chopped, this makes my life easier! It could be a terrific and useful part of data. We’re contented that you discussed this handy information and facts here. Please keep us all well informed this way. Appreciate giving. 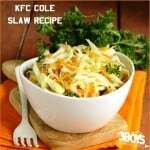 I hate KFC, but love their cole slaw!!! YUM! Loved how you used the bagged slaw! I bet that really helped you save time.